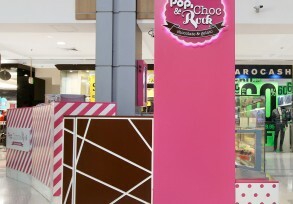 The most difficult aspect of the design for Pop, Choc & Rock was how to combine the three distinct food offerings into a design that was both cohesive and enticing, whilst also standing out from other businesses in a food court where everyone is shouting for attention. 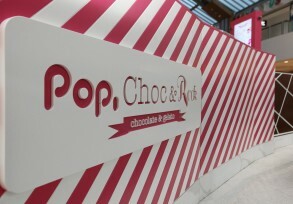 Three different patterns were created that subtly reference their namesake – Pop, Choc & Rock. 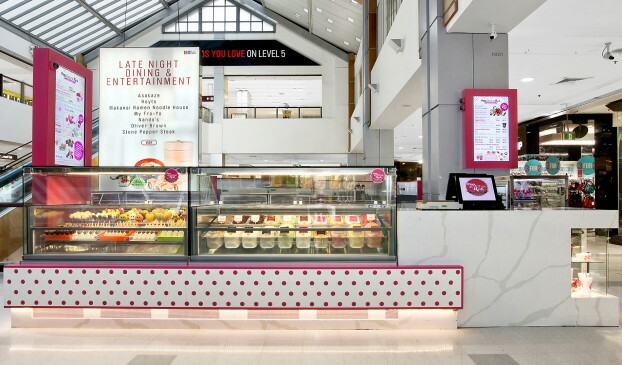 This use of patterning and colour created a uniform look, which also allowed the food offering to be displayed effectively. 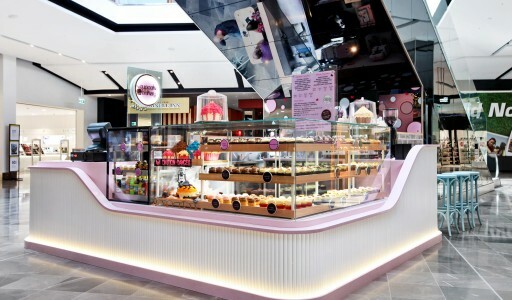 DP was also responsible for the logo, packaging, signage, menus, cup design & stationary collateral. 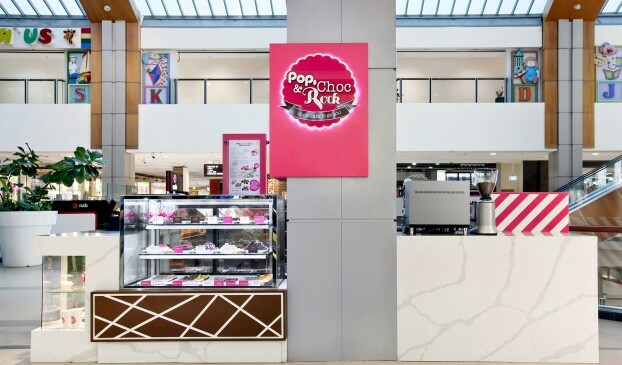 "Pop, Choc & Rock has been realised as one of the most outstanding retail shops in Westfield Chatswood..." - Eric Yan , Director, Pop Choc & Rock. "... 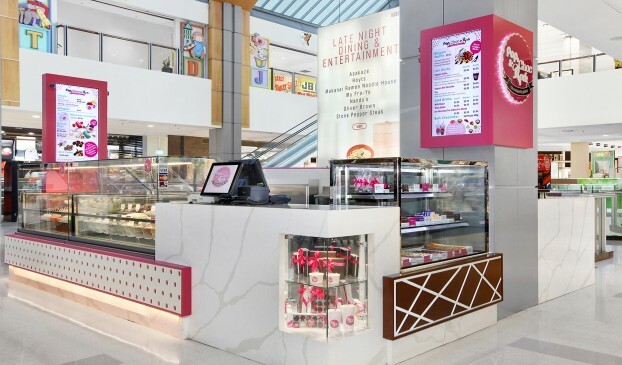 I would highly recommend Design Portfolio as the one stop retail design specialist you can trust." 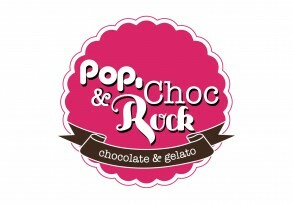 - Eric Yan & Crystal Li, Directors, Pop Choc & Rock.